Shenzhen is looking to build three new airports – one each for commercial airliners, seaplanes and helicopters – as part of plans to make it southern China’s transport hub. However, the plan risks bringing even more underutilised airports into the Pearl River Delta. 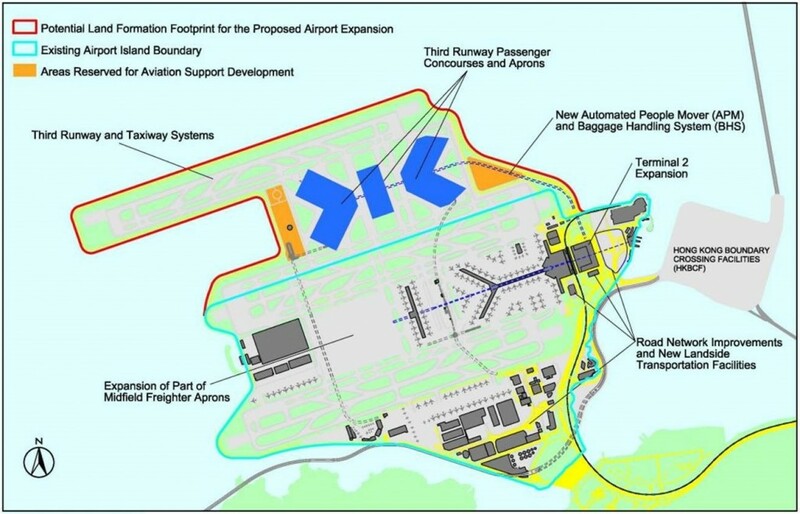 The airports are part of a 1.4-trillion-yuan (HK$1.66 trillion) blueprint to shift the city’s development eastward. “Shenzhen will build the ‘One Belt, One Road’ transportation hub in southern China and study the plausibility of building an airport on water in the east as well as starting to plan a second airport in the east as soon as possible,” the Shenzhen government’s Eastward Shift Strategic Action Plan for 2016 to 2020 unveiled last month stated. According to people with knowledge of the plan, a second Shenzhen airport was in the very early planning stages. The work was being carried out based on projected future demand when Shenzhen’s Baoan international airport reached full capacity. The airport – which handled 39.7 million passengers last year compared with 68.4 million in Hong Kong and 50 million in Guangzhou – is starting a 11.2-billion-yuan expansion plan to add a third runway and fourth terminal that could meet demand up to 2045. A second airport may be built somewhere near Huizhou, a city to the east of Shenzhen, which now has a small facility that is mostly used by the military. A new airport for commercial airlines would be in addition to those already operating in Guangzhou, Hong Kong, Macau and Zhuhai. While demand for air travel is huge in the densely populated region, the three larger airports already frequently suffer from delays due to complicated airspace controls in the region while the Zhuhai and Macau airports are underutilised. “Pearl River Delta airport coordination is just a myth. If it could be done, it would have been done long ago,” CK Law, an associate director of the Chinese University of Hong Kong’s Aviation Policy and Research Centre, said. He said none of the local governments wanted to see their airport become secondary to others in the region. He also said airlines would only fly to profitable destinations, making it difficult to coordinate the role of the airports unless under a planned economy. According to insiders, central government regulators planned to give more clarity to Shenzhen airport’s international role. The airport, which only gained its first flight to the United States via Beijing with Air China in February, is expected to be granted at least five more international routes this year as Shenzhen’s role as an international hub is to be enhanced under the 13th five-year plan. A spokeswoman for the airport said its international traffic was expected to nearly double by 2020. However, she said she was unfamiliar with the second airport proposal. The Shenzhen government had proposed a rail link between the Shenzhen and Hong Kong airports, which could see the two work as one. Under the plan, Hong Kong would have handled the international traffic while Shenzhen the domestic. The idea was rejected by Hong Kong, but Qianhai, the free-trade zone situated in the middle, was still keen, according to sources. 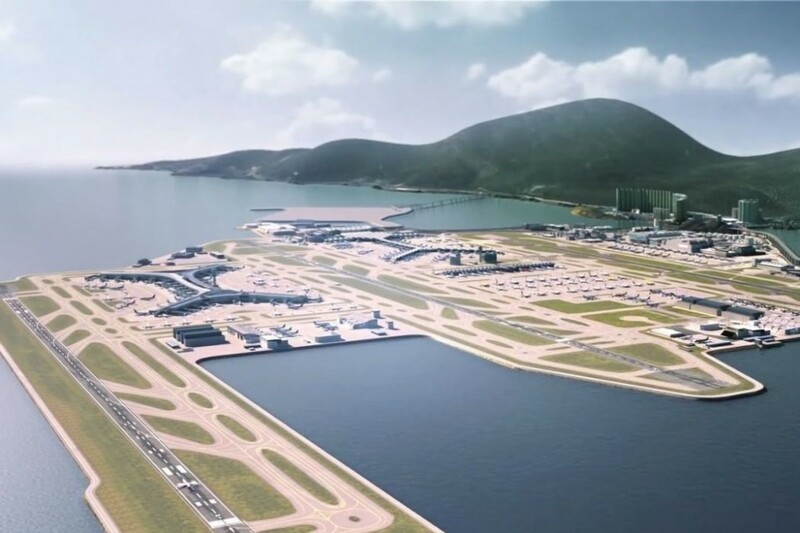 People with knowledge of the plan said an “airport-on-water” for seaplanes was likely to be built on Shenzhen’s Da Peng Peninsula to the northeast of Sai Kung as part of a plan to develop the peninsula as a high-end corporate travel destination. The same people said Shenzhen’s Nantou Airport that can handle 16 helicopters at a time was to be relocated to the more distant Longhua district. Nantou airport is mainly used by CITIC Offshore Helicopters, China’s largest offshore helicopter operator. “Building new airports is a typical way for local governments to engineer urban growth after development based on land sales runs out of steam,” Qi Qi, a lecturer at Guangzhou Civil Aviation Academy, said. He said Guangzhou’s third runway was an example of an expensive development going to waste as its airspace conflicted with Foshan airport, which meant it only ended up being used for landing. Guangzhou is now planning two more runways. “There might be an oversupply of runways in the short-run, but the bottleneck for airports in China tends to be the airspace. So, as long as the airspace issue is not resolved, airports users will still feel there is not enough airport capacity,” Sarah Wan, assistant professor in the Department of Logistics and Maritime Studies at the Hong Kong Polytechnic University, said.